Arm comparison. Is Smooth or Flat shading better? 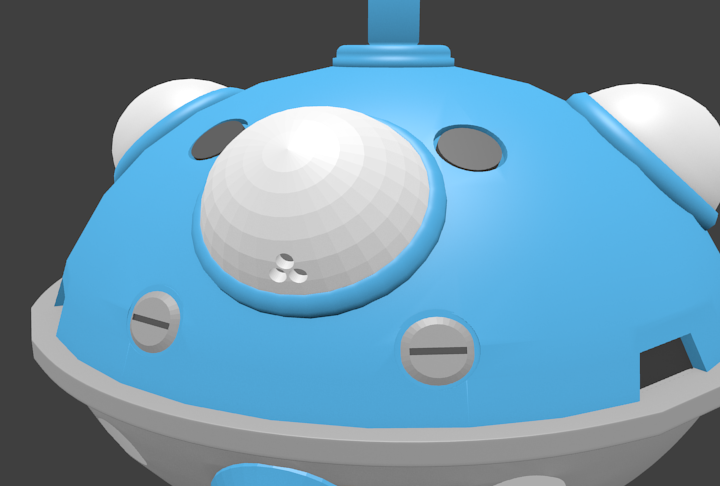 More work on the Tachikoma. Mine is on the left, and has been selectively Smooth Shaded. The finger parts were the toughest parts of this batch, though they might not look it. Furthermore, the fingers are really very simplified compared to the opening sequence of the series. 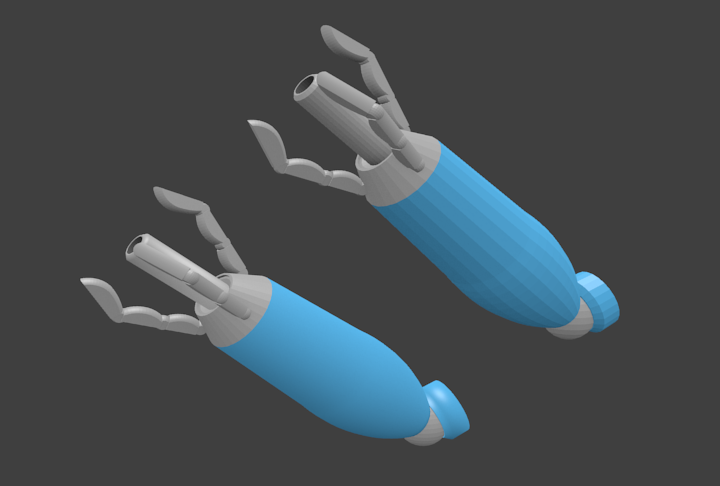 Also, the original model had a cylindrical drum-magazine that look weird and out of place – so I deleted it. I now see that there is in fact a magazine attached to the arm (though not much like that in the source model). That definitely has to be added. Total redo of the fingers will just have to wait till its time to start a second, much more detailed version. Looks like the flat light grey texture will need to be upgraded to a shiny metal at some point as well. 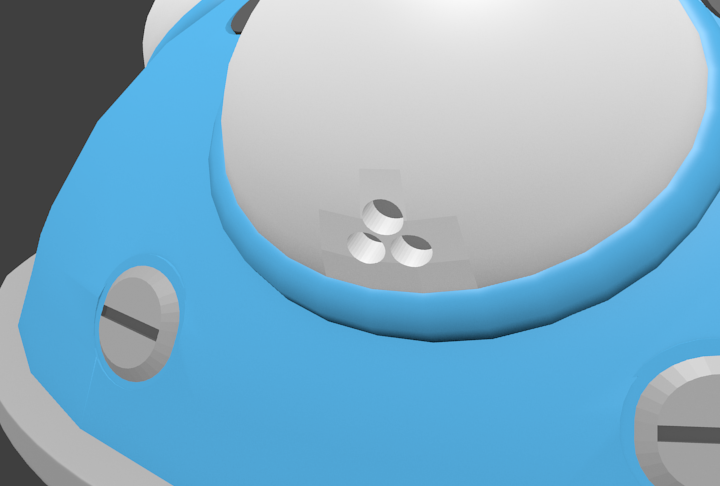 I’ve been able to reduce the vertex-count by roughly half without sacrificing detail. Triangles. ‘Cause triangles are _bad_, mmmkay? Some things are a bit misaligned. Not much, but enough to be asymmetric. Needs fixin’. Nothing is parented to anything. It renders just horribly, due to (I think) a desperate need of retopo. Not rigged. 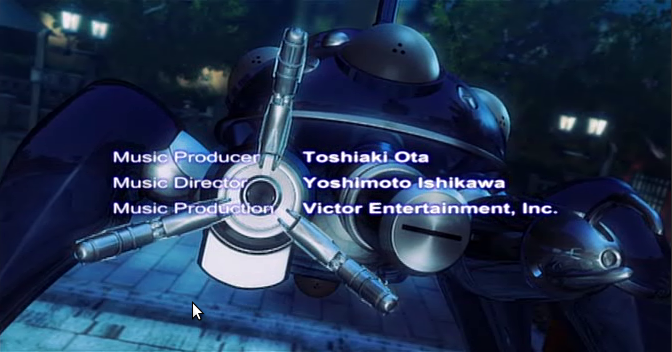 Sure, I knew it wouldn’t be, but I want a rigged tachikoma. So let the conversion begin! name the blenderfile I imported the .3ds into something like tachikomaRetopoAttempt01.blend. create a new .blend called tachikomaRetopoDest01.blend. c – remake/retop/remodel the part. When finished, move new version to layer2 and delete original from layer1. Also delete scene02. c – go to main scene, pick another part and repeat the procedure. As I’m not a terrifically good or fast modeller, this is going to take me a while. 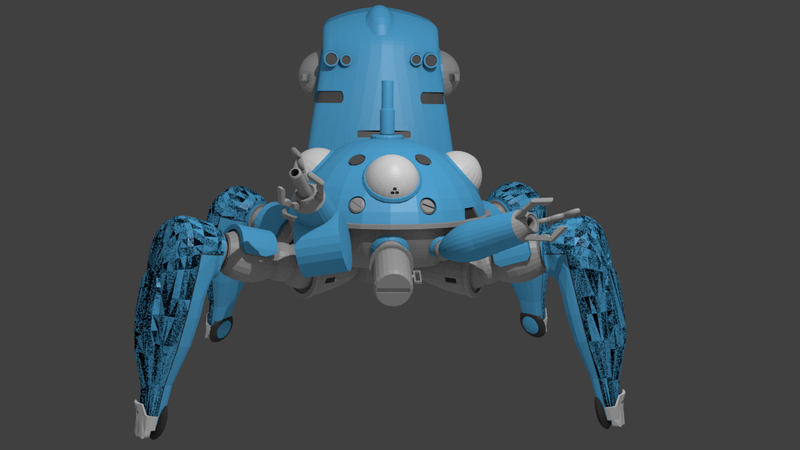 My plan is to do a few pieces each night, and hopefully I’ll end up with a good, blender-native tachikoma which I will then upload to blendswap.com.